Compatible with for Samsung Gear S2 and Gear S2 Classic. With wireless charging, it's easy to keep the device powered up. Material: plastic. Compact, portable design you can take with you. Input current: 1A. Thoughtful hanger design, portable size, easy to carry. Compatible Model: for Apple Watch Series 1/2/3/4. Due to light and screen difference, the item's color may be slightly different from pictures. Description We are now live in an electronic times. Most of us have various electronics, such as mobilephone, smartwatch, PDA, music player, etc. Everyday we listening to music, looking through different social tools, like Weibo, Wechat, blog and others, from morning to night. It seems that the power of these electronics is never enough. Charging them one by one is a waste of time. 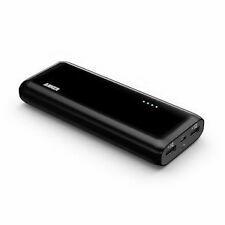 If there is a product that is portable, and can charging different devices synchronously, do you think it's worthy to own one? Features - Color: White. - Material: ABS and PC. - Size: Approx. 13.5 x 6 x 3.7cm / 5.3 x 2.4 x 1.5 inch. 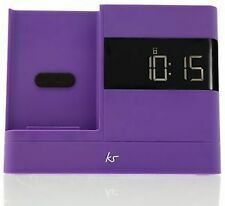 - With a smart LCD screen to show the charging status of every USB port intuitively. 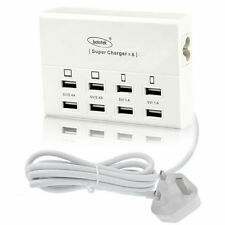 - Allows 8 devices charging simultaneously, compatible with smartphones, tablets and oth. Samsung Galaxy S9 / S9 Plus. Standard: QI. Apple iPhone XS /iPhone XS Max / iPhone XR. Samsung Galaxy S8 / S8 Plus. Apple iPhone 8 / iPhone X / iPhone 8 Plus. Wireless Charging: simply place any Qi-enabled device or device equipped with a Qi-compatible cover on it, No cables or USB interface required. 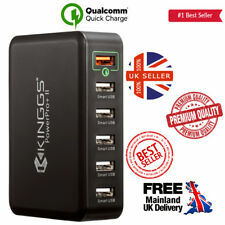 Features 100% brand new and high quality 5 ports smart charger design It can charge for 5 devices at the same time With Smart chip Red and blue LED display Safe and fast charging Widely compatibility: compatible with most of the device Specifications. Standard: QI. High wireless charging efficiency. Wireless charging power: 10W. 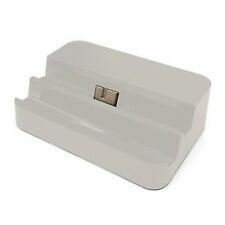 1x Charging Dock - ColourBlack. High power, quick-acting charging. Charging Efficiency: >96%. Powerful Safe Protection: Built in safety circuitry protects your device against short circuits, over-heating, over-currents, and over-charging. 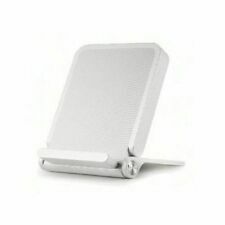 Device Type: Qi Fantasy Wireless Charging Dock. Wireless charging standard: Qi standard. Samsung Galaxy Note 8, Samsung S8, Samsung S8 , Samsung Galaxy Note 7, Samsung Galaxy S7, Samsung Galaxy S7 edge, Samsung Galaxy S6 edge , Samsung Galaxy Note 5, Samsung Galaxy S6, Samsung Galaxy S6 edge. 1 x Wireless Charging Dock. as there is a risk of burning the smartwatch. Suitable For: Samsung Galaxy Watch / Gear S2 / S3 / S3. Indicator: Connected to the power red --- the charging. Easy to carry, let your watch charging more secure.